Happy Wednesday! I have a total of THREE posts today! WOW! 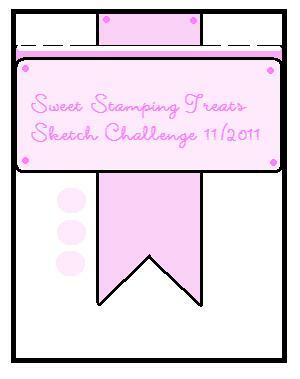 This is a card I created for the Sweet Stamping Treats Sketch Challenge. 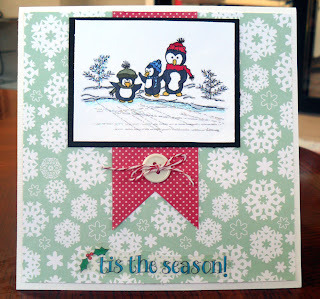 I used one of the November releases called Penguins on Ice. It's my favorite of this month's release! :) I colored the image with Copics and then added Stickles to get a sparkly effect. 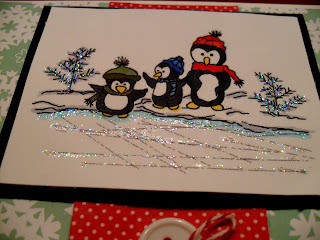 It reminds me of those Christmas cards that look like they have snow on them. I LOVE those!!! LOL! 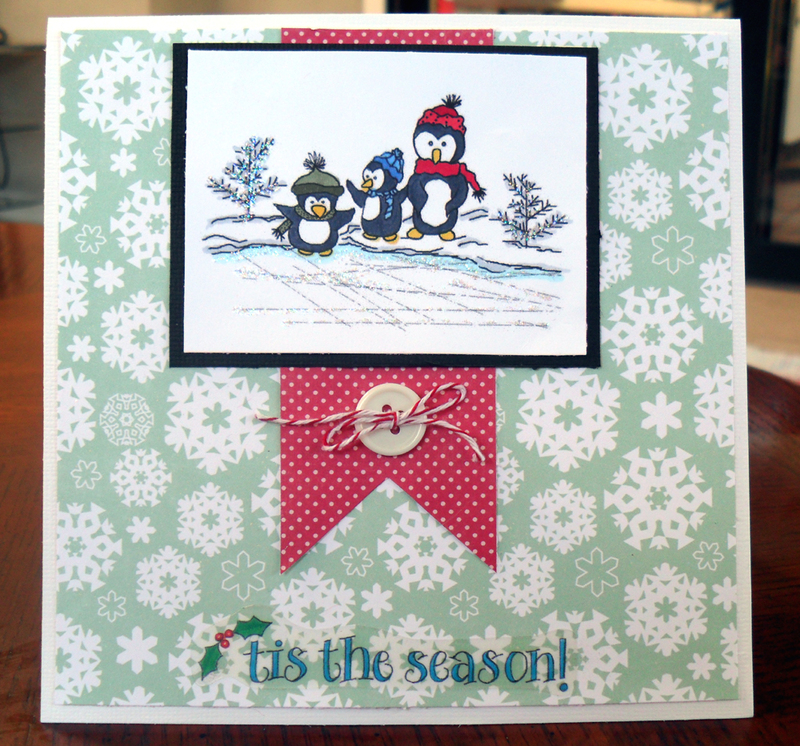 I wanted to add a little more to my card, so I added a sticker sentiment at the bottom and a button with some red and white twine. The paper is Echo Park's Jolly Holly Christmas. 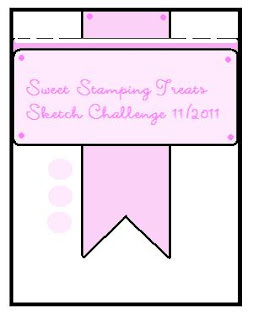 If you're interested in purchasing this digi stamp, please visit Sweet Stamping Treats and be sure to check out all of their entire collection! Aloha!